I feel like I haven't talk to y'all in forever! I think having the 4th off messed up my schedule or something. Anyway, how have y'all been? Did you have a good weekend? Mine was spent doing a little clothes shopping for an interview this week--wish me luck--and watching some awful tv. I finished Orange is the New Black and watched Okja--didn't like either! I also got around to editing the pics for today's post. I have been playing around with the new Maybelline The City Mini palettes for a couple of months now and have been meaning to share them sooner. So let's get into these! 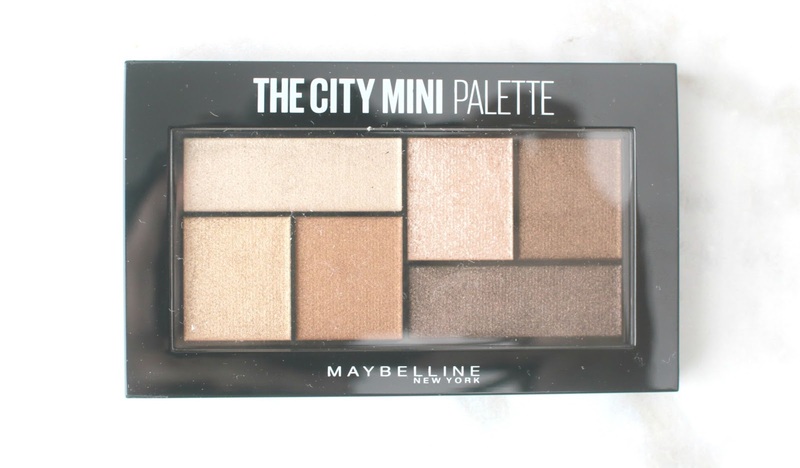 There are 6 palettes, all named after NYC moments, as you can tell in the top picture. Each palette has 6 shades, ranging from typical neutrals to a slightly bolder blue and purple with aqua. These sell for around $8 and, as the name suggests, they are mini. These remind me a little of their Eye Studio line, but those have only 4 shades. 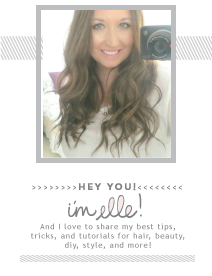 The formula is nice but the color payoff can be around average, depending on the shade. I personally prefer the formula in their classic Expert Wear series better. Some of the shades have fall out since they are so shimmery. And I wish there were mattes included. But they are definitely convenient based on the size for travel or for those who don't want clutter. Here's a quick look I created using the Rooftop Bronze palette. It definitely more shimmery in person. I've got more Maybelline reviews coming up this week, so stay tuned! The rooftop bronze palette is so pretty! I never use up a palette so the mini size is perfect! Love the palette you used! So perfect for summer. Good luck with the interview Elle! Great review as always! 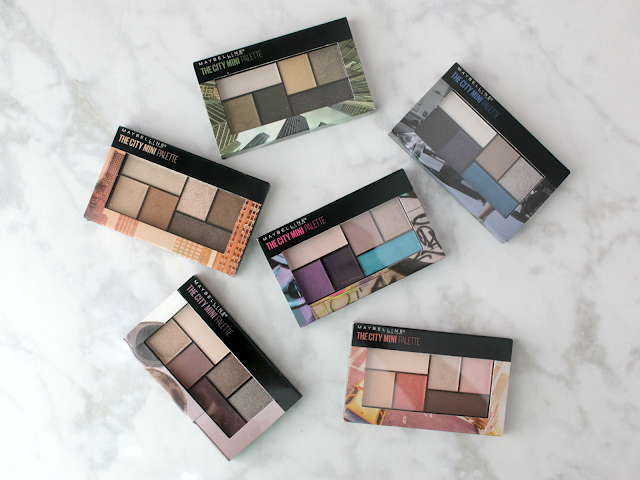 These all look like really great mini palettes! Like you said, they'd be perfect for traveling! These palettes are so cute! Great for travel! I really like this bronze palette, perfect for everyday. 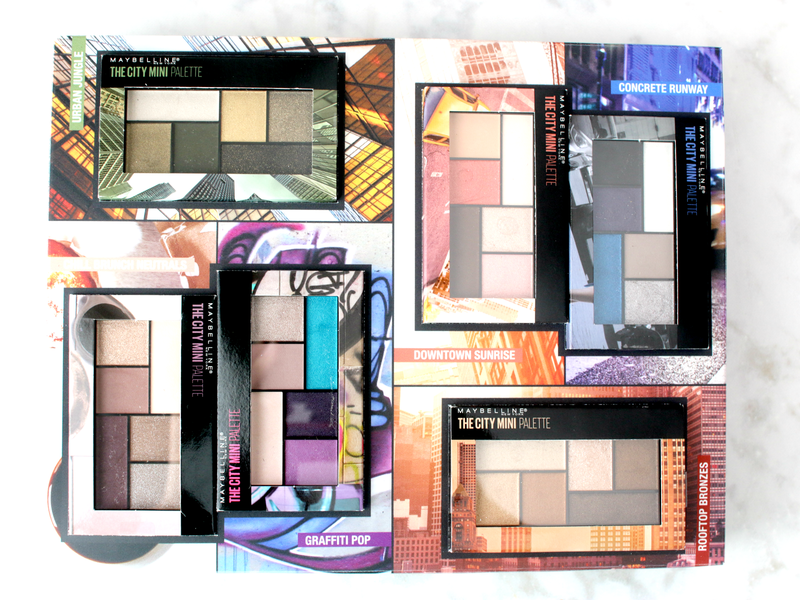 You are right, these palettes would be perfect for travel! Can't wait to see the reviews on the rest of them! Happy Monday! SOOOO cute - i am loving all the colors in the neutral palette! Oh I really like these palettes, great for travel. Good luck on your interview, I'm sure you will knock it out of the park. The look you created looks cute!!! I find that the Maybelline shimmery shadows on me get a little clumpy looking so I tend to stay away. I love all of the colors though, so pretty! These look cute but I don't have luck with most drugstore palettes. Thanks for your honest review. Good luck on your interview! Good luck on your interview! These palettes are cute, and the colors a pretty! Ohh these look so fun! I love the variety in color among all of the palettes. Sending you lots of good vibes for your interview this week! I love these smaller kits, Elle!! Because it takes so long to get through them otherwise, and I always want to try other colors!! These look really cute! Best of luck on your interview! I'm sure you'll rock it! I love little palettes for travel! They can give you more options without adding bulk to your suitcase! The bronze palette is really pretty on you! Good luck at your interview! These are so cute. I need to get some mini palettes, because lugging my huge UD palettes on vacation takes up too much room and sometimes I want different shades. Hope you get the job!! The colors in the palette you used in the look you shared are so pretty. I've never had much luck with Maybelline shadows. I've liked a few of their singles, but the palettes have always been a bust. I love their mascaras and lipsticks though. Sending good vibes and prayers that your interview goes well! These minis look perfect for upcoming travel! I'm all messed up this week too after all the wonderful time off last week. But yay for finishing OITNB, sorry you didn't like this season. I'm now anxiously awaiting the next one after that cliffhanger. 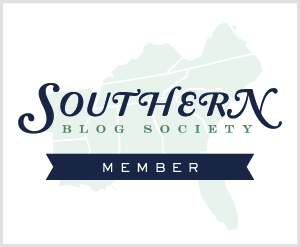 I haven't been around or blogging either.. its the summer that is throwing me off. 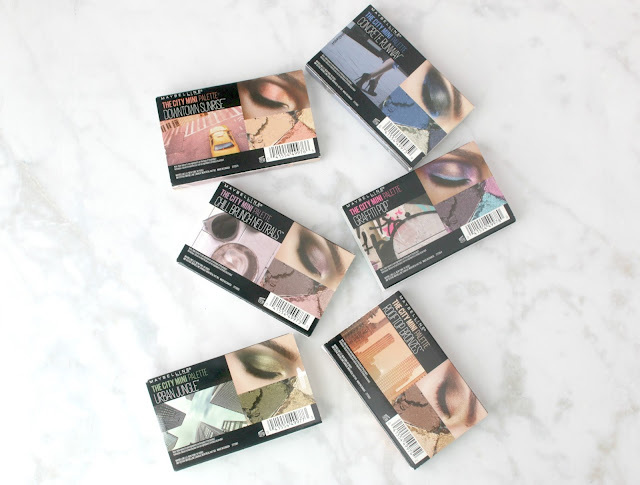 I never have any luck with drugstore eyeshadow palettes so I will be giving these a miss too. That said, I have not seen these in Canada, at least not where I work. I love the neutral yet shimmery colors in the first palette...so my style! First time I'm hearing about these palettes but they look lovely for a drugstore brand. It looks good on you, but definitely perfect for travel!! These do look great if you want a lot of colors and not a lot of clutter! I love the look you created, it's so pretty and perfectly smoky without being over the top. These are so cute! I definitely prefer more mattes though. Bummer.